Our expert team provides high-quality, compassionate care while developing innovative treatments for heart and vascular diseases. That’s why so many Colorado patients turn to UCHealth University of Colorado Hospital for the best cardiovascular care. In addition to leading-edge cardiovascular research and treatments, UCHealth often hosts clinical trials. You might qualify to participate in a research study about your cardiovascular condition, which could give you access to treatments months or years before they’re available to the general public. No matter what type of care you need, you will benefit from our personalized, multidisciplinary treatment plans. 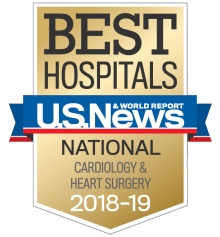 UCHealth University of Colorado Hospital’s Cardiology & Heart Surgery practice is nationally recognized by U.S. News & World Report. At UCHealth Heart and Vascular Center, we’re proud to be on the forefront of patient care, which includes staffing Colorado’s only fellowship-trained cardio-oncologist. Adult congenital heart disease. The UCHealth Adult Congenital Heart Disease Clinic hosts the leading program in the region, following more than 1,000 patients. Our partnership with Children’s Hospital Colorado lets pediatric patients easily transition their care when they become adults. Advanced heart failure. The UCHealth Heart Failure Clinic operates the Rocky Mountain region’s largest referral program accredited by the Joint Commission for Advanced Heart Failure and Cardiomyopathy, including implanting mechanical circulatory support devices and heart transplant. Cardiac electrophysiology. UCHealth Cardiac Electrophysiology (EP) is a comprehensive clinic program to manage cardiac arrhythmias. Treatment options range from medication to atrial and ventricular ablation to pacemaker and defibrillator implantation (ICD) and the WATCHMAN™ device. Pulmonary vascular disease. Operating out of the UCHealth Pulmonary Vascular Disease Clinic, our Comprehensive Lung and Breathing Program treats patients with all forms of pulmonary vascular disease, including pulmonary hypertension, pulmonary embolism and hereditary hemorrhagic telangiectasia (HHT). Structural heart. The UCHealth Structural Heart and Valve Clinic features the region’s largest volumes for advanced interventional treatments for heart valve disease, with outcomes better than national averages. Therapies include transcatheter valve replacement (TAVR), WATCHMAN, and PFO/ASD and MitraClip mitral valve repair. Vascular. Vascular treatments at the UCHealth Vascular Surgery practice involve proven state-of-the-art therapies, leading-edge minimally invasive intervention and, when available, new clinical trials to treat such conditions as peripheral arterial disease, carotid artery disease, varicose veins, blood clots and much more. 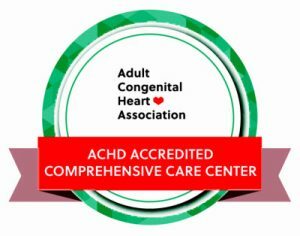 In recognition of its expertise in serving adults with congenital heart disease (CHD), structural heart conditions present at birth, UCHealth University of Colorado Hospital has earned accreditation from the Adult Congenital Heart Association (ACHA), a nationwide organization focused on connecting patients, family members, and healthcare providers to form a community of support and a network of experts with knowledge of CHD. ACHA is a national not-for-profit organization dedicated to improving the quality of life and extending the lives of adults with congenital heart disease (CHD). ACHA serves and supports the more than one million adults with CHD, their families and the medical community. For more information about ACHA, contact 888-921-ACHA or visit achaheart.org. The American College of Cardiology has recognized UCHealth University of Colorado Hospital for its demonstrated expertise and commitment in treating patients with chest pain. 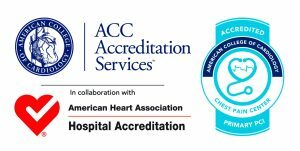 UCHealth University of Colorado Hospital was awarded Chest Pain Center Accreditation with Primary PCI based on rigorous onsite evaluation of the staff’s ability to evaluate, diagnose and treat patients who may be experiencing a heart attack. 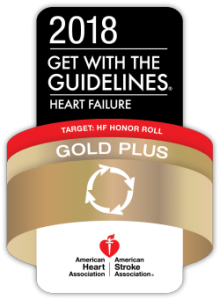 The American Heart Association has recognized UCHealth University of Colorado Hospital for its continued success in using the Get With the Guidelines – Heart Failure program and applying the most up-to-date, evidence-based treatment guidelines to improve patient care and outcomes. 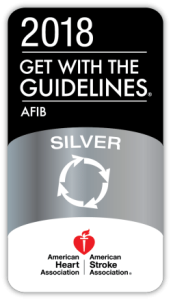 The American Heart Association and American Stroke Association have recognized UCHealth University of Colorado Hospital for its continued success in using the Get With the Guidelines – AFIB program and applying the most up-to-date, evidence-based treatment guidelines to improve patient care and outcomes.